We asked our DYY readers on Facebook about the weirdest places they've done yoga—and we loved the responses! From funeral homes to sky decks to Home Depot, you guys sure have had some kooky moments having fun striking poses in different places. So here's a compilation of our picks for the "weirdest" places our community has practiced yoga. Give us a shout out if you see your pic below! 1. 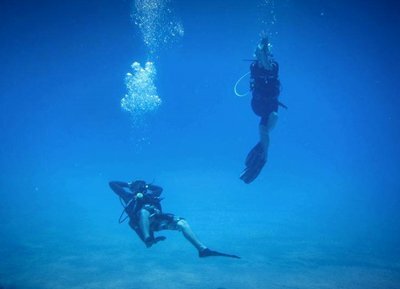 This is Jo doing an underwater Eagle Pose. 2. Here's Nungning in Plank on the Death Railway in Thailand. 3. 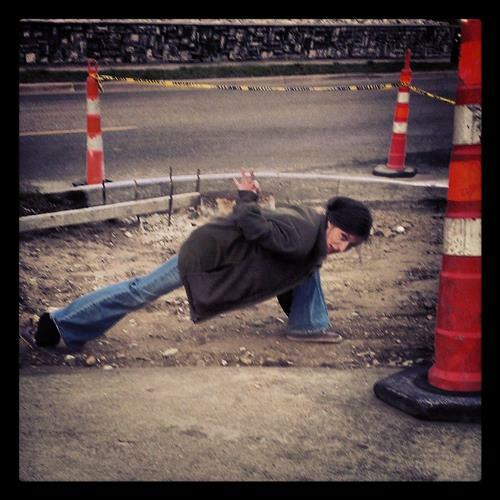 Lala lunges on the side of the road. 4. 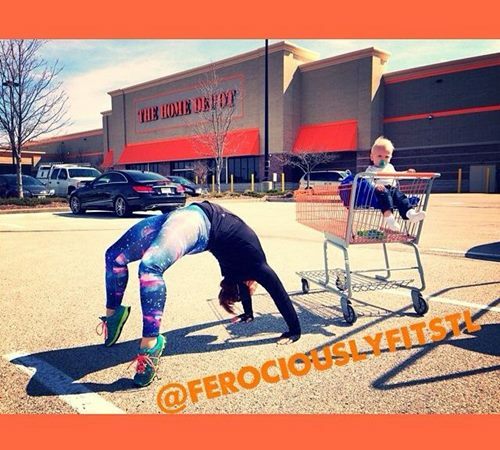 Kaycee Takes her Wheel Pose to Home Depot. 6. 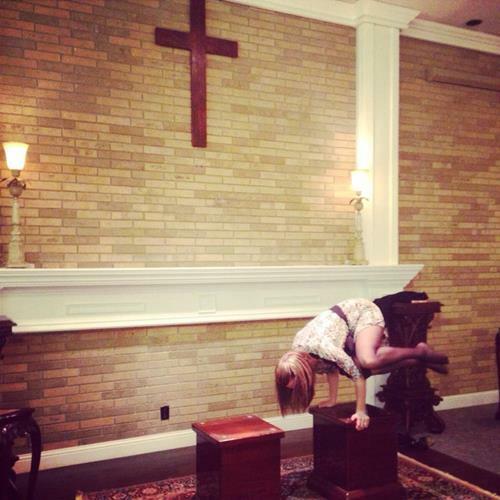 But even in the family home, Lindsey found an odd spot to do yoga. 7. ...and so did Guna. 8. Here's Alicia taking her Wheel higher...literally. On a Chicago tower Skydeck. 9. Jess also likes her yoga up high, doing Bird of Paradise on top of this plane. 10. Arielle shows us another cool way of doing the pose. 11. 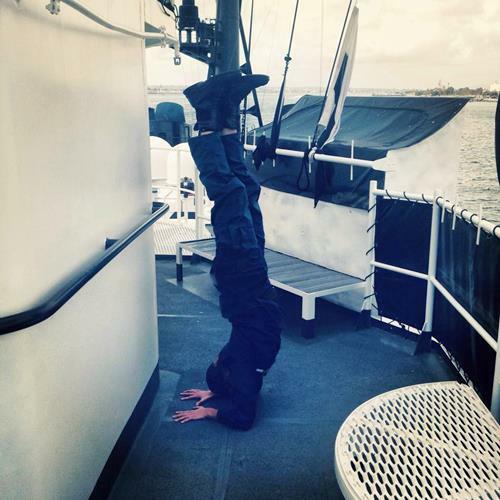 Sarah does inversions on the flybridge of a US Coast Guard cutter. 12. And Ginny goes upside down at Coachella. We also got pictures of people doing yoga in their travels, in front of malls and stadiums, in restaurants, etc. What about you? 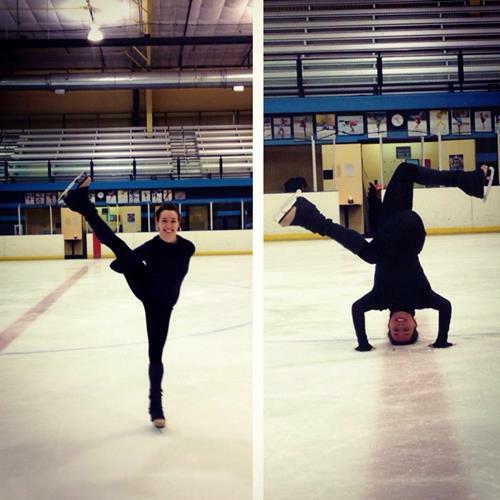 Where's the weirdest place YOU have practiced yoga?